AT-Series and the New XT-Series Alternators from Balmar bring together the latest innovations in alternator design to deliver incredible charging power in a compact, Marine-friendly package. The New XT-Series Alternator family features a state-of-the-art, braided stator wire design to generate exceptional output in the smallest possible area. The XT-Series produces slightly more power than our previous AT-Series 165A design and operates 5o-10oC cooler. In addition, we’ve added Balmar’s Smart Ready® internal regulator technology to provide an additional level of fault tolerance for cruising boaters. Available XT-Series mounting styles have also expanded to include the “Vortec” 9Si design found on many GM gasoline engines. The AT-Series 220A Alternator family features a hairpin-wound stator design which uses densely wound square copper wire to generate up to 220A at 3,000 engine rpm. 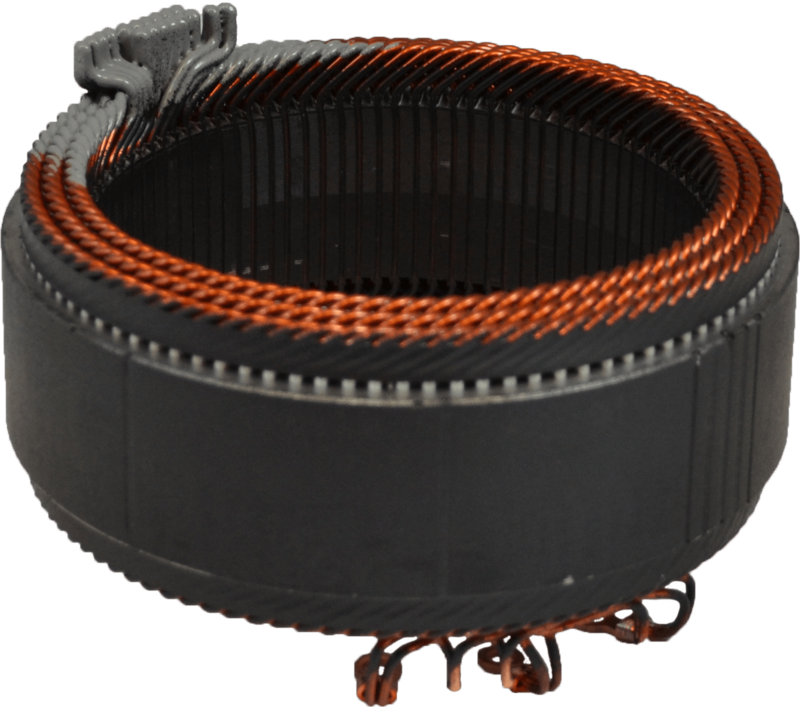 Hairpin-wound stators feature 96 slots – compared to 36 slots in a traditional S-wound stator – allowing the hairpin-wound stator to develop superior electromagnetic energy and efficiency to other traditional stator designs. XT-Series and AT-Series Alternators may require a Tachometer Signal Stabilizer (Part No. 15-TSS) if your current tach is not adjustable. XT-Series and AT-Series Alternators should only be used in Dual Vee or Multi-Groove Serpentine belt configurations. 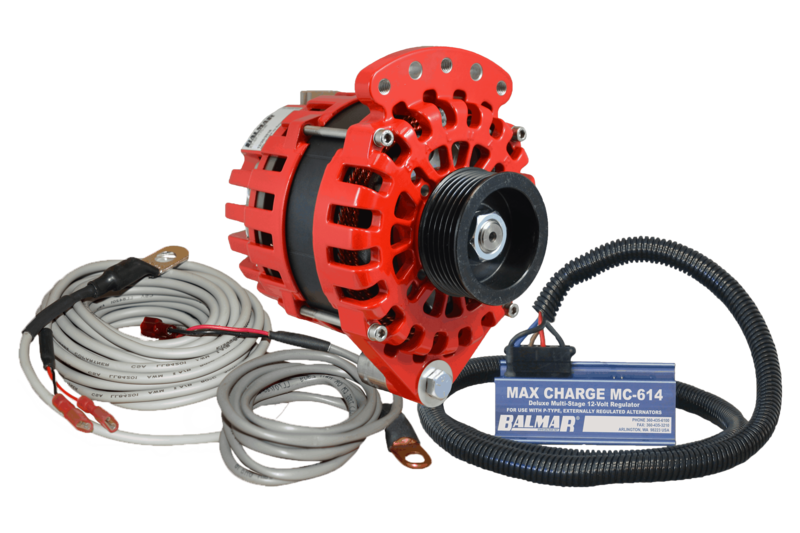 Balmar’s growing range of AltMount® Serpentine Pulley Conversion Kits support all XT-Series and AT-Series Alternators. (1) Kit includes XT-Series or AT-Series Alternator, Max Charge Regulator (MC-614-H) and Temperature Sensors (MC-TS-A, MC-TS-B). (2) The XT-Series or AT-Series Alternator may require a Tachometer Signal Stabilizer (15-TSS) if your current tachometer is not adjustable. (3) All Dual Foot Yanmar Kits include the 6-0020 Mounting Kit.